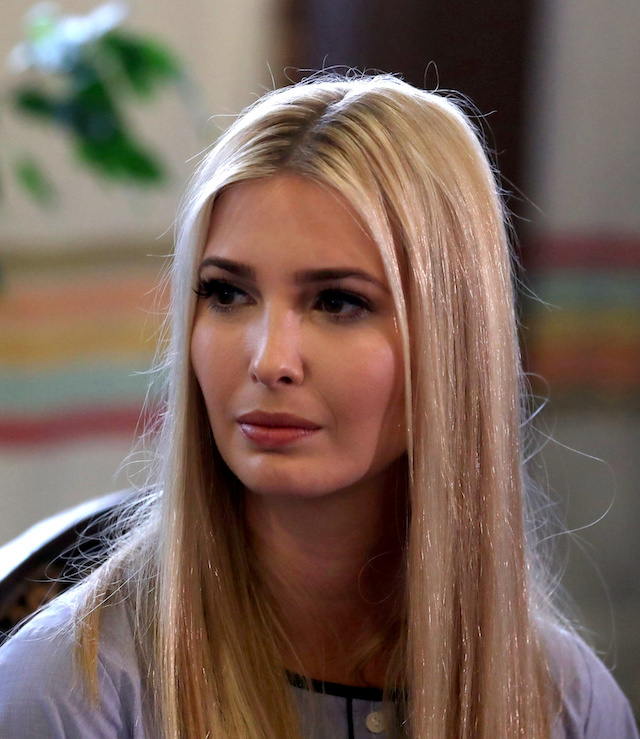 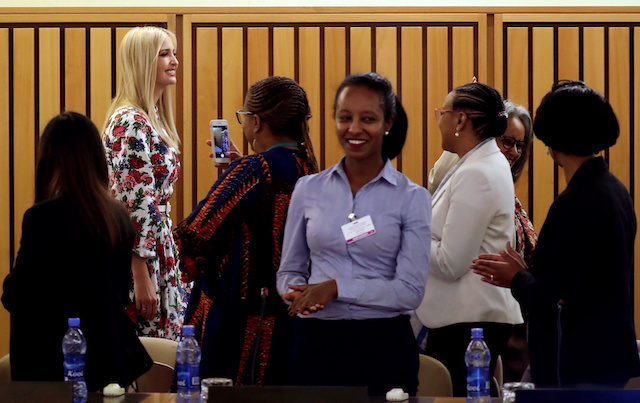 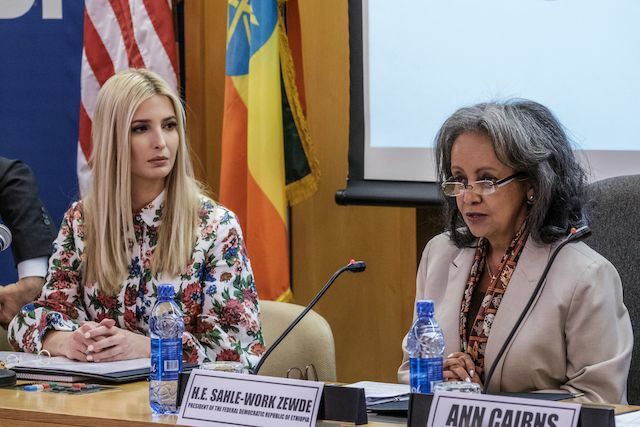 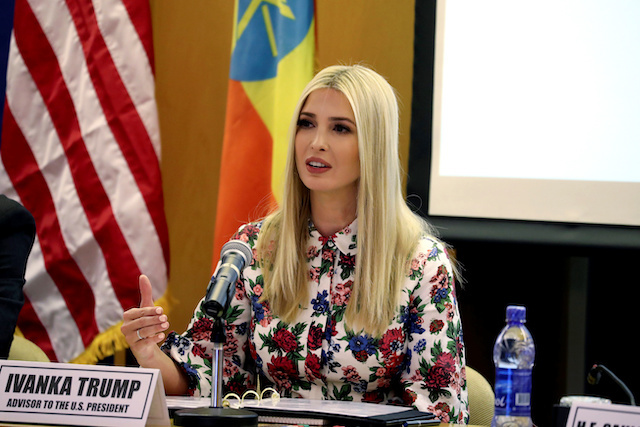 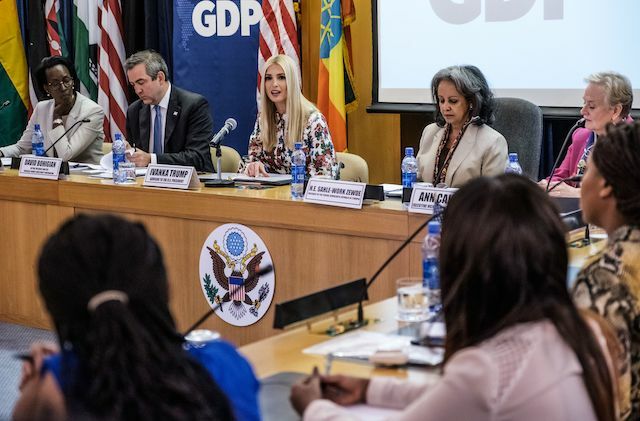 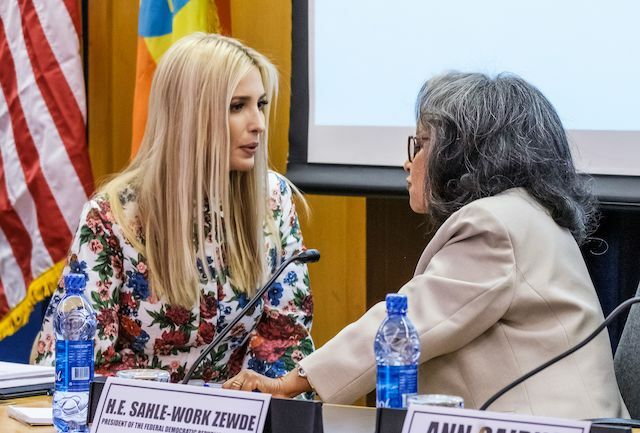 Ivanka Trump was quite the vision when she showed up in a pretty floral dress Monday during her trip in Addis Ababa, Ethiopia at the United Nations Economic Commission for Africa (UNECA) headquarters. 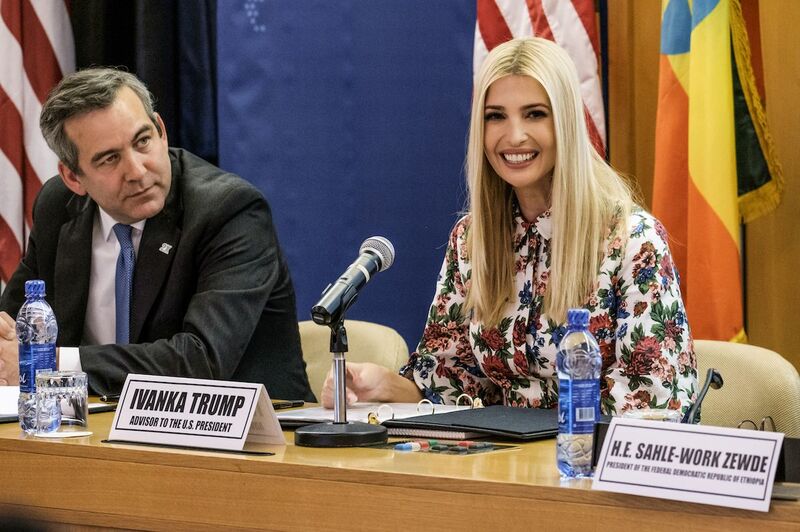 Ivanka always looks great no matter what the occasion. 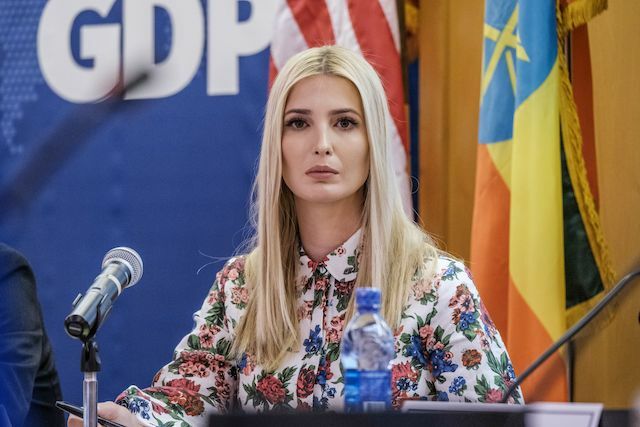 Most recently, she made headlines during the trip when she showed up in a beautiful powder blue dress that she paired with a matching belt and black flats.